описание (rus) Простая и удобная программа для вёрстки PDF файлов. По заверениям разработчиков, большая часть операций выполняется в 4 клика мыши. Из основных функций Imposition Studio можно отметить - спуск полос PDF (для раскладки на листе, создания брошюр, и прочих задач при печати), конвертирование PDF, разделение-соединие документа и пр. description (eng) Imposition Studio The easiest professional PDF imposition software ever! Creates any new layouts with 4 mouse clicks! 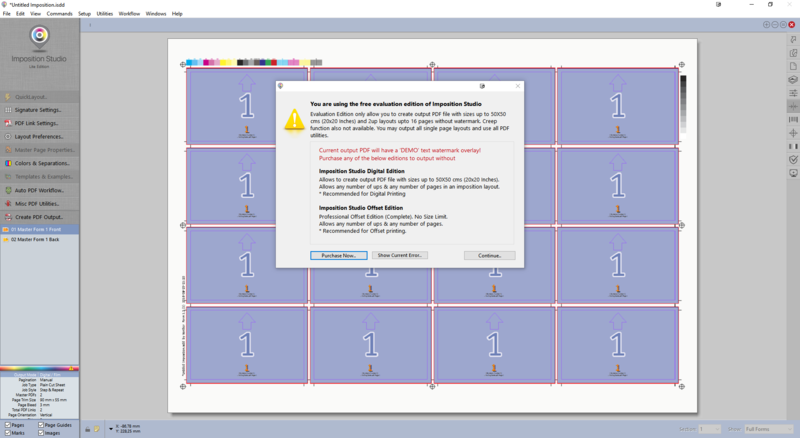 Imposition Studio supports all Digital Printers, Imagesetters and CTP Machines.. Imposition - Never be so Easy! 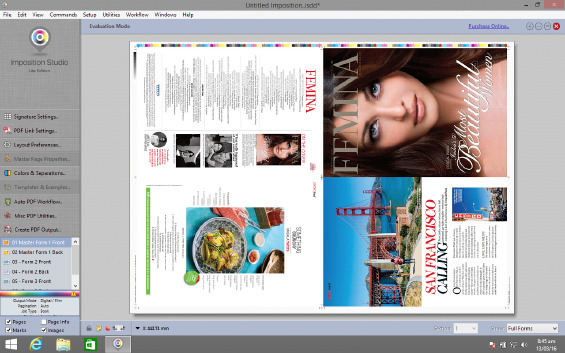 • ︎The easiest PDF imposition software ever - Creates any layouts with 4 mouse clicks!. • ︎Customisable Colour bars & Company Identity. • ︎Individual PDF Page Transform on Size, Position and Scale. password softoroom not working for me. Please check it again and update new patch file. Crack doesn't work, exporting .pdf shows that software is on demo mode. Write in more detail, you have replaced Impression Studio.exe? doesn't work "Create PDF output" (this option works for me)? Yes, I have replaced .exe file. I tried blocking program via firewall, and freshly reinstalling and cracking, but still getting same window saying i'm in demo version. Getting this screen after trying to create PDF Output. Try exporting this 16 page layout. Thank you for a quick response. Looking forward for a new crack.